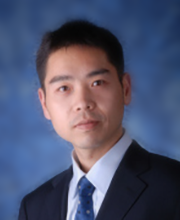 Chun Liu is an Associate Professor of Finance in the School of Economics and Management at Tsinghua University. He received his Ph.D. in Economics from University of Toronto, Canada in 2007, Masters in Finance from Tsinghua University in 2001, and BA in Finance from Tsinghua University in 1999. His research interests are Finance Econometrics, Financial Markets and Risk Management. Dr. Liu teaches Asset Pricing, Financial Econometrics, Risk Managements and Derivatives.